46 results have been found. 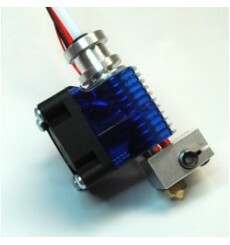 Hotend E3D LITE V6 for 1.75mm filament and direct extrusion We know that not everybody needs the all-metal high-temperature performance of an E3D-v6. 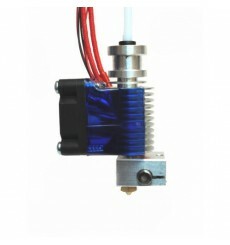 We’ve come to realise that there exists a need for a hotend that is reliable, and puts out great prints, but meets the budget of those who are just getting started in 3D printing. 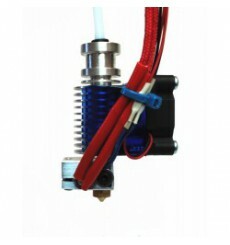 This is a replacement HeatBreak for E3D-v6 3mm Bowden and Direct HotEnds. Since v5, the manufacturing processes for all our HeatBreaks has been overhauled to achieve a better internal surface finish than ever before. The improved internal surface finish will help to reduce extrusion force and improve relliability on retractions. 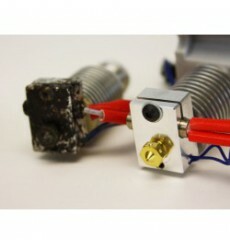 This is a replacement HeatBreak for E3D-v6 1.75 mm Bowden and Direct HotEnds. Since v5, the manufacturing processes for all our HeatBreaks has been overhauled to achieve a better internal surface finish than ever before. The improved internal surface finish will help to reduce extrusion force and improve relliability on retractions. 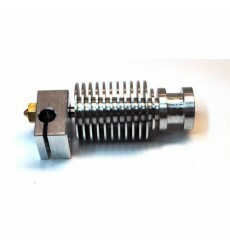 Hotend E3D Full Metal V6 for 3mm filament and direct extrusion Our stainless-steel insulated actively cooled all-metal HotEnd Contains no heated PEEK or PTFE. The all-metal design will withstand temperatures well in excess of that ever required for thermoplastic extrusion.